Every Sixers fan is rooting for Markelle Fultz to blossom into the type of basketball player his draft position — and heavy cost — led us to believe he'd eventually become in Philadelphia. Fifteen games into the 2018-19 season, he's really struggling in certain areas. Like all of them, for certain. The real problem, as we all know by now, is the jumper. His unwillingness to take open shots renders him dead weight at times on the offensive end of the floor. The 60 percent free throw percentage, an improvement on his limited attempts last year, has been a secondary concern. Until Monday night in Miami, when this happened. A free throw pump fake? That's like when you don't release the shoot button on a video game, just to see what it looks like. Twitter was pretty merciless about this. Fultz's free-throw form over the past few games is very, very concerning. It's almost a complete reversion to last year at this time. Fultz is double clutching free throws again. oh my god what was that from Fultz. Someone needs to slip Fultz some acid and give him the week off. 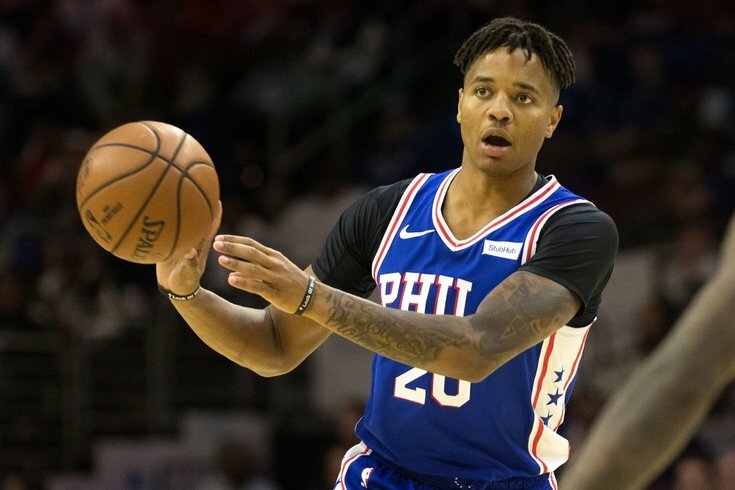 Making matters worse here is a report that Markelle Fultz has stopped working with trainer Drew Hanlen, who spent the whole summer helping him reconstruct his shot. This comes after last week's Twitter miscue led to speculation that Fultz was playing injured. This has to be the worse-before-it-gets-better part of Fultz's season, right? Out there somewhere, a rogue Monstar is lighting it up with the skills that once belonged to Markelle Fultz. This is the plot of "Space Jam 2."